This recording is a road trip through the last 50 years of minimalist and ambient piano music. 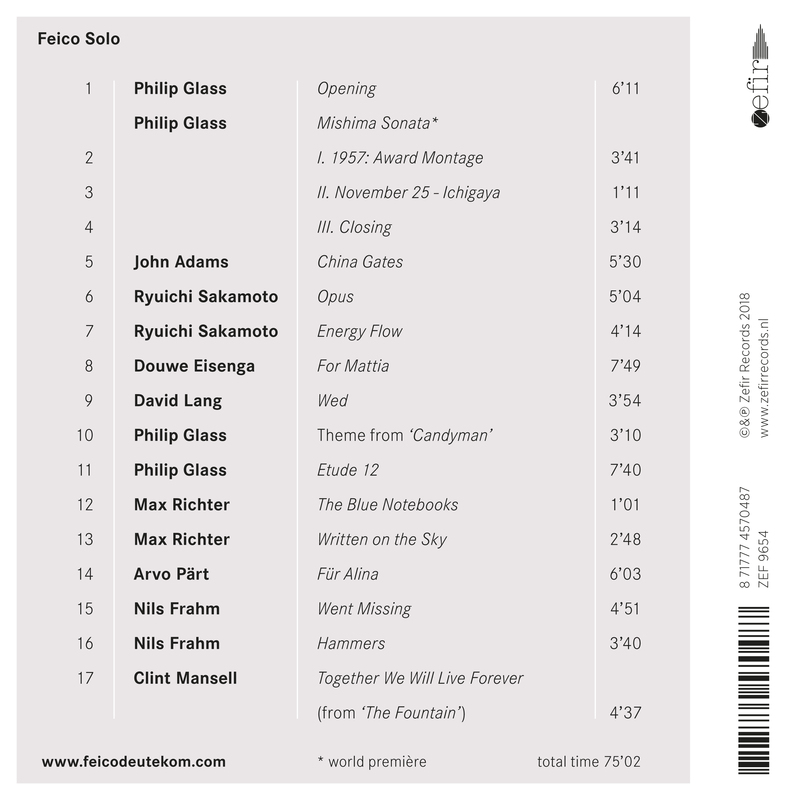 From the early sound tapestries of minimalists Philip Glass and John Adams, via David Lang and Arvo Part who combine repetition with melody and harmonic colors, to the atmospheric and quiet worlds of Ryuichi Sakamoto, Max Richter and Nils Frahm, what captivates the listener on these recordings is a sense of ambience, an evocation of space. Feico Deutekom breathes life and shape into these works, many of which have a delicately melancholy tone. He is able to convey both the rhythmic complexity and the panoramic quality of this music, where silence and the spaces lingering between the notes are often as important as the notes themselves. 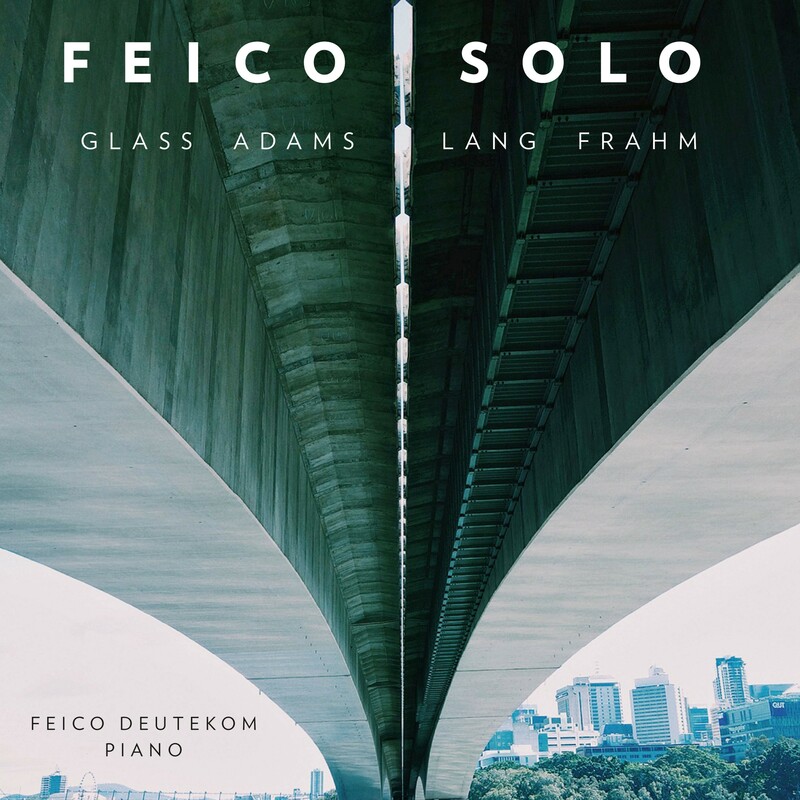 This release includes the world premiere recording of Philip Glass' Mishima Sonata, an arrangement that Feico Deutekom made with permission of the composer of three movements from the movie soundtrack of Mishima, originally composed for strings.